The Marvel Cinematic Universe has been incredibly successful in its ability to create a shared universe of superheroes, with each one being a fully realized and unique character. For all the success that Marvel has had with creating their heroes, one place where they have been routinely criticized is in their villains. One of the writers of Captain America: Civil War says there’s a very simple reason why this is the case. The movies aren’t about the bad guy. Villains are as key a part of the traditional comic book dynamic as the hero. Yet, with maybe a couple of exceptions, most of them have not been particularly impressive on the big screen. JoBlo asked frequent Marvel writer Stephen McFeely about this problem. While McFeely understands where the feeling comes from, he ultimately believes that it’s simply a result of the limited time that a movie can spend with a character when they’re not the focus of the film. If you think about it, I get the criticism, but the early phases were all origin stories. It tends to create a similar villain. When it is no longer an origin story, I think you might have a little bit more freedom to create different villains. I’m sensitive to the problem. I get it. But it wasn’t the Robert Redford story, it was Captain America: The Winter Soldier. It wasn’t the Red Skull’s journey, it was the journey of one guy going from ninety pound weakling to American hero and then going into the ice. So in a 120-minute movie, it is difficult, and Thanos will possibly change that, but you want time spent. Excuse me for going on a tangent but I love the Marvel Netflix shows because you have so much more time to spend with your villains. It’s literally minutes and hours spent. It’s certainly true that in the MCU origin stories it was important to spend a great deal of time with the lead character. However, at the same time, it’s not like the villains in the follow-up movies have been much better. 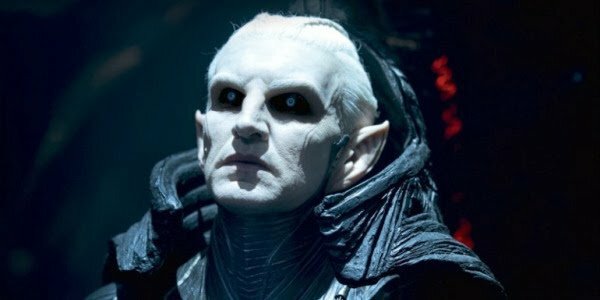 Loki, one of the few great villains was the one in Thor’s origin story, while Malekith, the villain in Thor: The Dark World was a name I had to look up just now because I couldn’t even remember who it was. At the same time, we can’t pretend like the limitations of cinema aren’t part of the problem. As Stephen McFeely says, the Marvel shows on Netflix have been able to create great villains. Both Kingpin and The Purple Man would have to go near the top of any list of great MCU villains, right along with Loki. Part of that has to be simply because we got to spend more time getting to know them. Captain America: Civil War will be doing its part to overcome the weak villain problem, by not really even having one. While we know that Daniel Bruhl is playing Zemo, we also know that whatever Zemo is doing isn’t really what the movie is about. Instead, the Avengers themselves are playing antagonist to each other, and since we know they’re pretty good characters, hopefully, it will all turn out well.